This is a round Veedol Motor Oils porcelain sign. This particular Veedol Motor Oils sign is black with orange and white text. 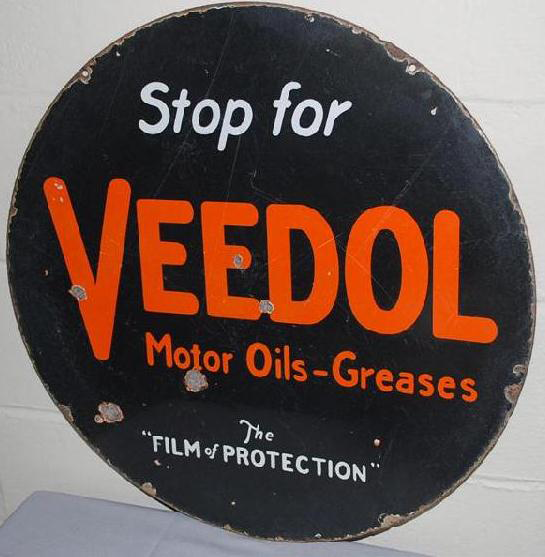 It reads, “Stop For Veedol Motor Oils – Greases, The Film of Protection”.